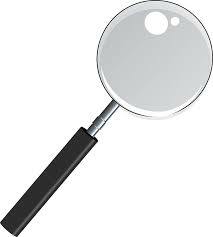 The mysterious world of grammar and magnifying glass magic! Yesterday I introduced a group of colleagues to my magical magnifying glass.It's the simplest of language learning tools but it works so well.It's so easy to make - just a magnifying glass template printed out,with the middle cut out so that you can see through as if the middle was glass, laminated and cut out into the magnifying glass shape. Why is it so magical? Well like so many of us I have always encouraged children to be language detectives ...just like Sherlock Holmes and what does he carry? Yes a magnifying glass to uhelp your class begin to solve the great mysteries of grammar and step with excitement in to the world of grammar. This magnifying glass can allow the children and you as well to step into text and to drill down and find out more magical knowledge about the text you have in front of you! You can ask a child to come to the whiteboard and with the magnifying glass identify and hover overnouns in the text,or hover over adjectives in the text or hover over verbs in the text.Can they identify these structures in the text? A child can challenge a child- so one child has the magnifying glass and finds one adjective , can another child be challenged to find a second adjective etcetra. As a class you can hover over one specific noun and find out more... step deeper in to the magical world of grammar! What might the noun mean? Is it a noun the class already know? Can the children decide from context or similarity to English? Can the class step even deeper in to the noun- what is to the left and right of the noun? Can the children tell you if it is a masculine or feminine noun and what proof can they see to left and right of the noun with the magical magnifying glass to prove this (definite or indefinite article clues/adjectival agreement clues)? Is it singular or plural and what does the evidence to left and right show us? Can the class use bi-lingual dictionaries to explore the noun further and verify their magnifying glass findings? Can you capture the verbs in the text with the magical magnifying glass and again dig deeper over each individual verb used,looking for personal pronouns to the left and the spelling at the end of the verb to the right? Can the children use the evidence they find with their magical magnifying glass to change the meaning of the text and generate the same person and tense with new regular verbs that replace the verbs in the text? I think that you could make some amazing magical and sometimes nonsense but fun texts this way! And there you have it...... the beginnings of a magical language learning and investigating tool to help children step in to the exciting World of grammar in a target language!